Hey guys! 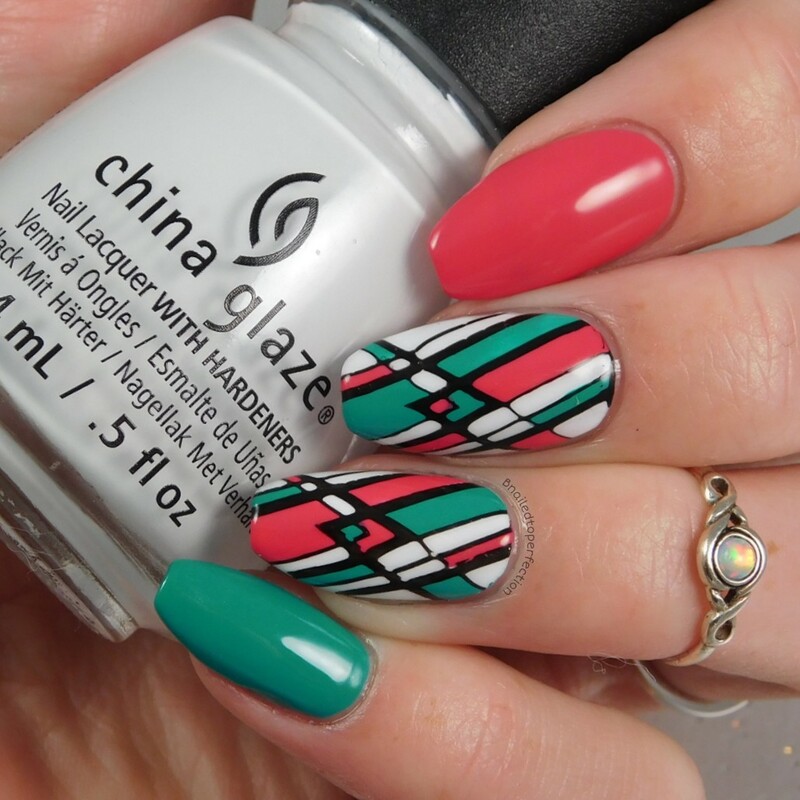 Tonight I have a little review for you of a plate from What's Up Nails. The plate is called Geo-radical, B015, and it's full of geometric type patterns like circles, squares and triangles. I went with this image as I wanted to create a colour block type design. 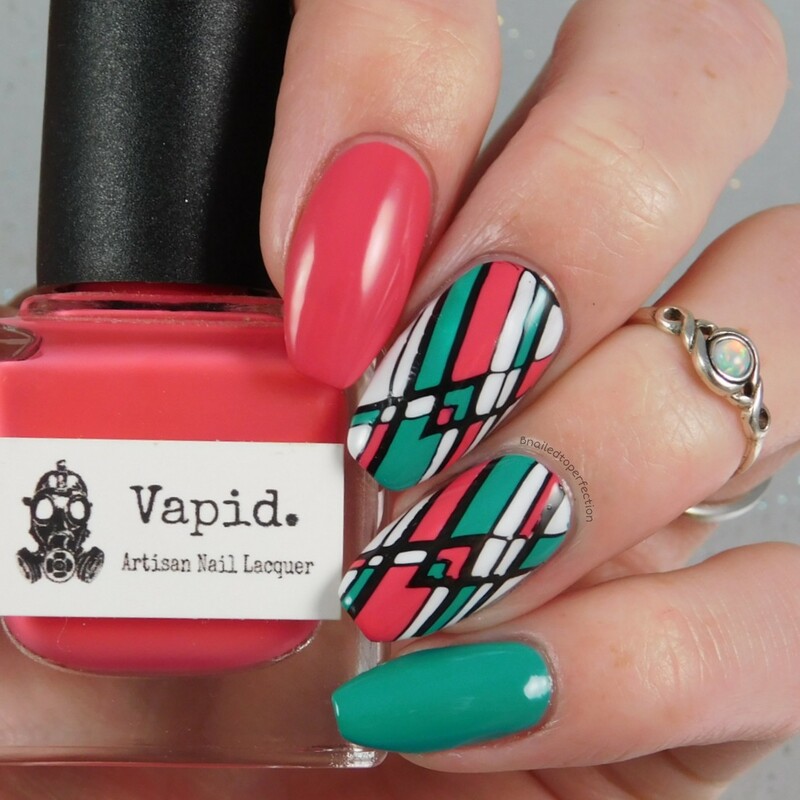 I headed to Google to look for geometric manis for a bit of inspiration and there were quite a few using teal and coral. I thought they went together really well so I checked my stash! 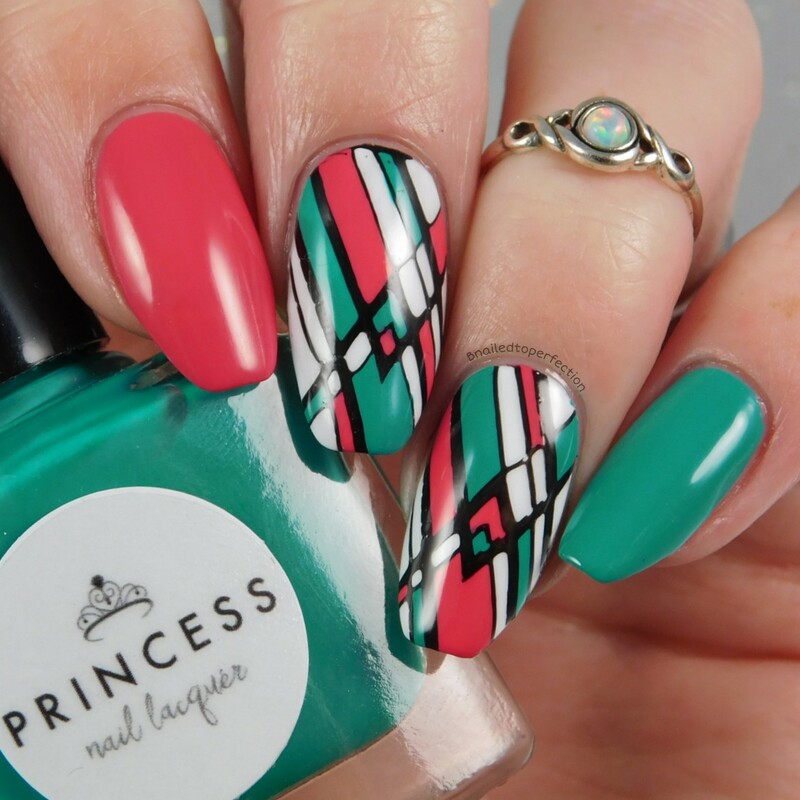 The coral is Vapid, Look it's Coral and the teal is Princess Nail Lacquer, Cool For The Summer. I stamped over Blanc Out by China Glaze. I created the design by using the advance stamper method, or reverse stamping as some people call it. I loved this plate and it picked up so well! I would highly recommend their plates!